Pantone colors are mixed, much like the paint at the local home improvement store. They operate within a fixed color system to ensure the pigment or tint you have selected (ex., Pantone 282 Blue) is the same every time you use it. 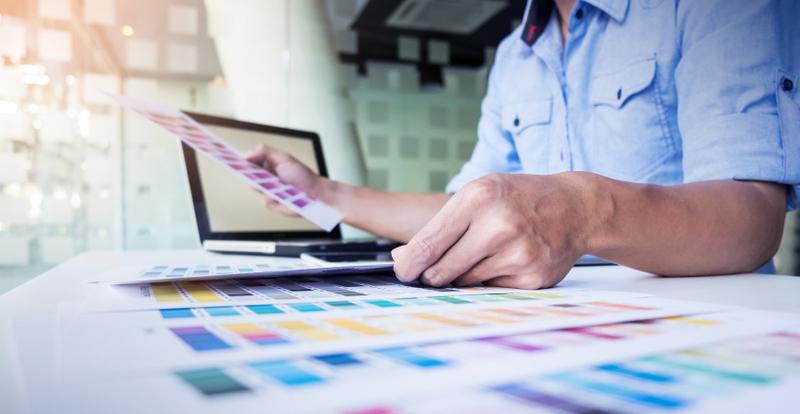 Corporate brands rely on the Pantone color matching system to ensure their marks and identity are represented across materials, applications, and uses - consistently. If you represent a company, and you have a business card, it is very likely that business card was printed using this method and system. CMYK is one of the most used color processes based on the simplicity of the color mix. It is a subtractive color model, often called four-color process. It refers to the use of only four colors to make up its entire color spectrum. Most marketing materials, except when Pantone compliance is required, is produced using this method. In some instances, the four-color process is enhanced with two additional colors, expanding the color spectrum. This method is most used within large format inkjet printing. Whether it is business stationery, branded promo supplies or sales and marketing material, the method you choose will help shape the outcome of your printed item, as well as costs. Xperient is Central Florida's locally owned premier printer, up to our elbows in spot and process colors. If we can help with your next Pantone or CMYK print project, please contact us.